This was a thoroughly thought-provoking and informative event. We could not have gone to Hereford without looking at the Mappa Mundi and the Chained Library. 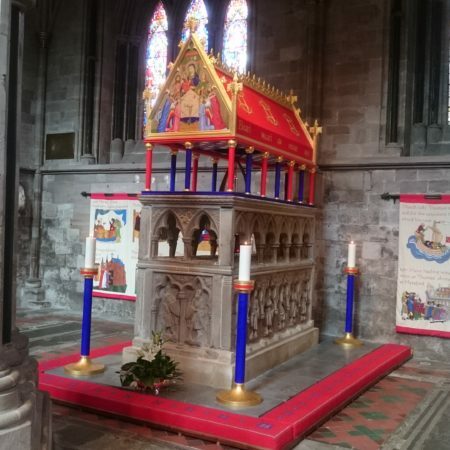 On Saturday, Sally Badham launched the lecture series with a detailed exploration of theories about the shrine base of St Thomas of Cantilupe. 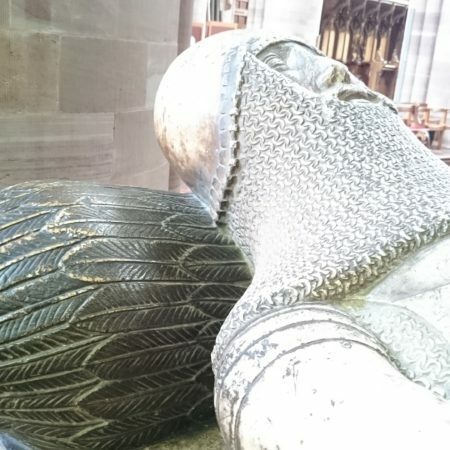 Toby Capwell gave an engaging overview of the late 14th and 15th century military effigies of Herefordshire, which provide a complete conspectus of the development of armour in the period. 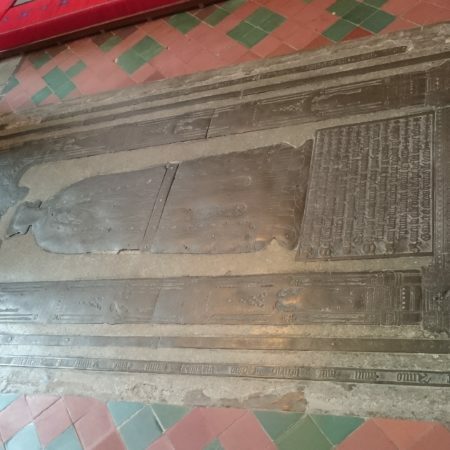 Sally then read Jerome Bertram’s lecture on the medieval brasses of Hereford – a remarkable collection, as so much has survived the changes of the Reformation. In the afternoon we were able to explore the Cathedral and look in more detail at some of the topics covered in the morning. 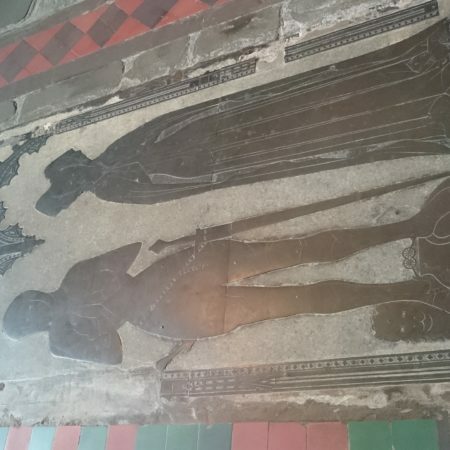 On Sunday, Brian and Moira Gittos made an excellent case for the study of civilian monuments, looking in particular at their evidence for clothing and accessories. David Lepine guided us through the design and iconography of Bishop Stanbury’s monument and chapel, focussing on the importance of his membership of the Carmelite Friars. 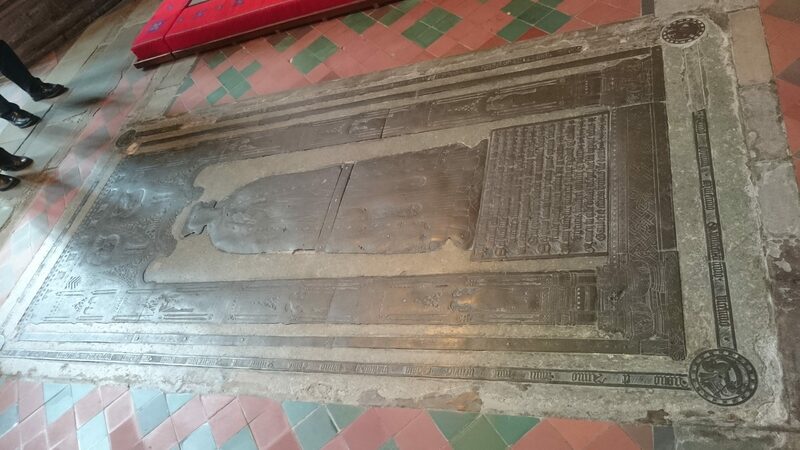 Jon Bayliss considered the design and probable sources of the late 16th and early 17th century monuments of Herefordshire. Holly Trusted widened the scope of the symposium by looking at the plaster replicas of carvings from Kilpeck and Shobdon, now in the V&A. 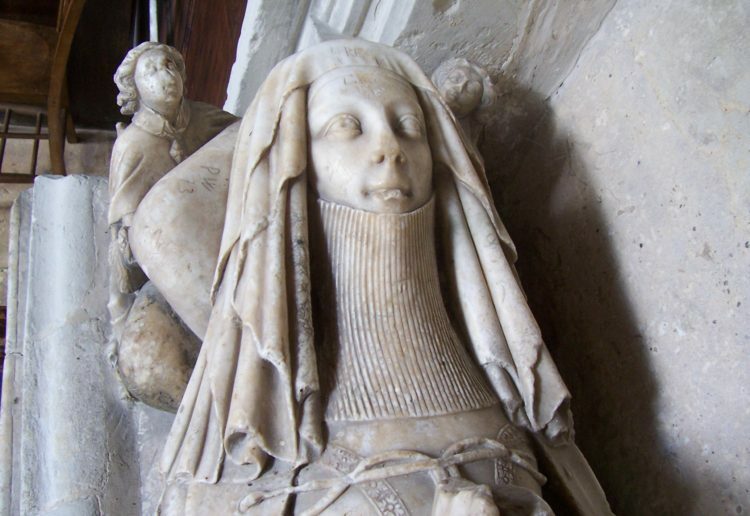 Roger Bowdler drew the proceedings to a close with a survey of seventeenth-century military memorials, arguing that the Civil Wars saw a reduced focus on death and glory in commemoration. This has resonances with our focus this year on commemoration in World War 1: here again, the trauma of large-scale death and destruction seems to have produced deep-seated changes in attitudes to commemoration. 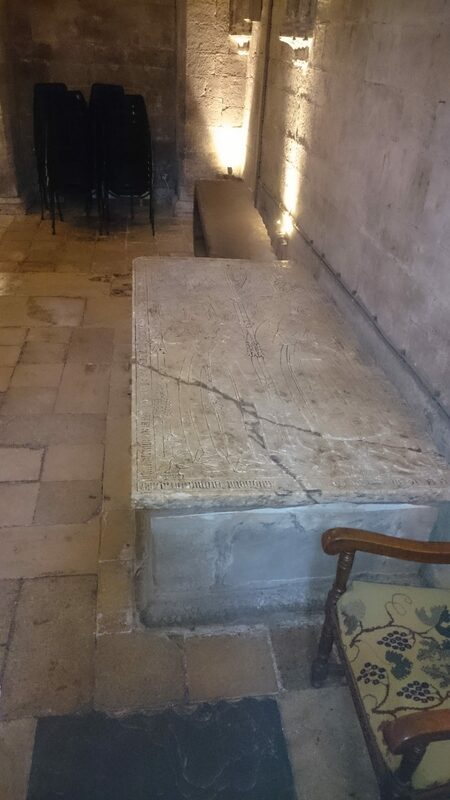 Even before the symposium, we were arguing about the shrine of St Thomas of Cantilupe. 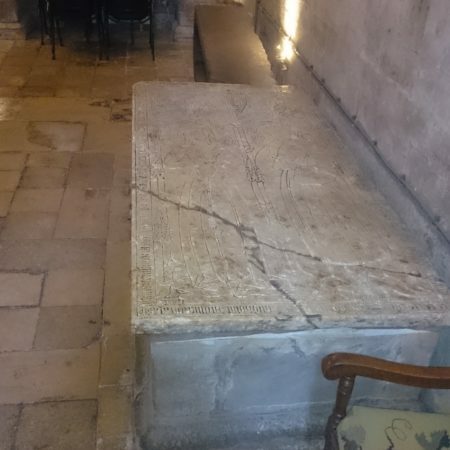 All that is now left is the shrine base, shorn of its brasses and colour. 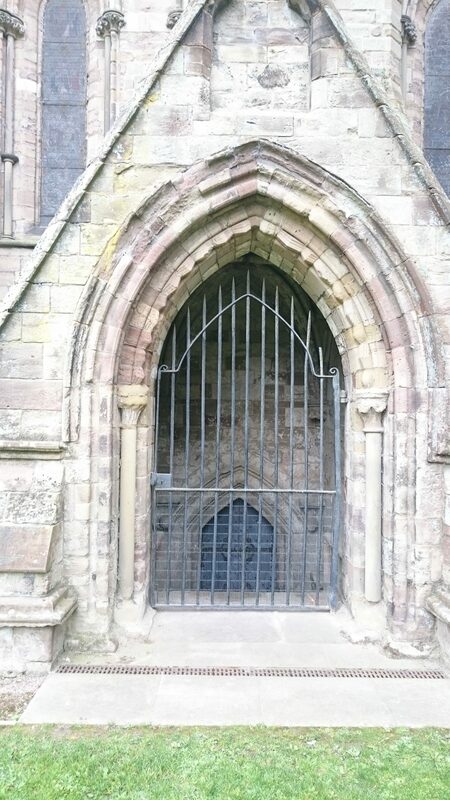 The feretory which once stood on top of the stonework and held the saint’s bones disappeared at the Reformation. Recently the Cathedral has proudly installed a new feretory with a painting of the Virgin and Child holding the Mappa Mundi. It is colourful – too colourful, according to some critics. Stiffleaf wasn’t the only one to describe it as ‘tat’. Some defended it on the grounds that the medieval church loved colour and we shouldn’t judge them by modern aesthetic standards. 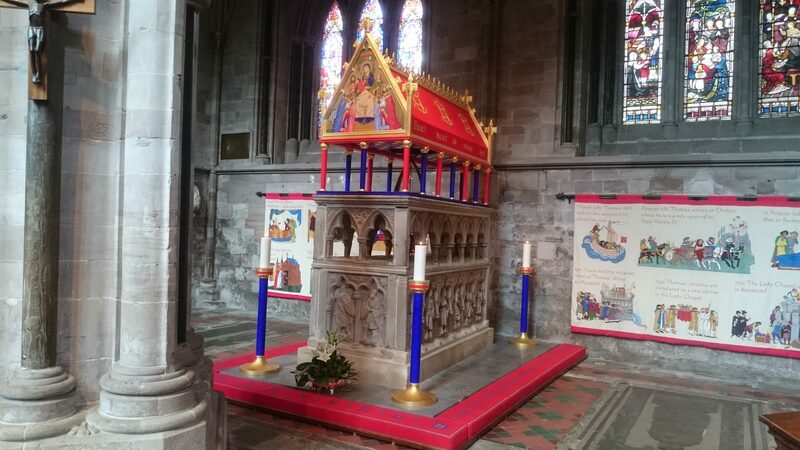 Should we do Anglican tasteful, or should we go for something brighter and possibly more ‘authentic’? 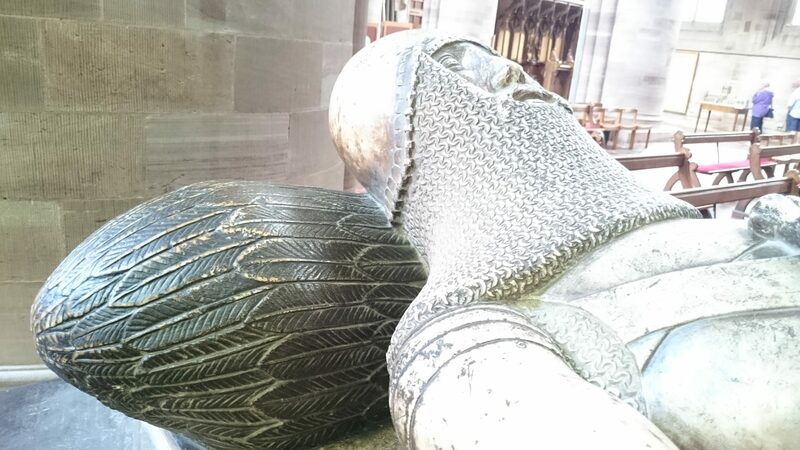 Sally Badham agreed that the medieval church wanted colour, but argued that evidence from surviving samples suggests that the colouring on medieval tombs and other carvings was more subtle, using earth colours rather than the vivid chemical colours of the new feretory. Part of the problem is that the feretory simply looks too new. Medieval paintwork was dulled by the burning of candles, oil lamps and incense (and probably by the hundreds of sweaty bodies piling in to venerate the shrine and breathing all over it). 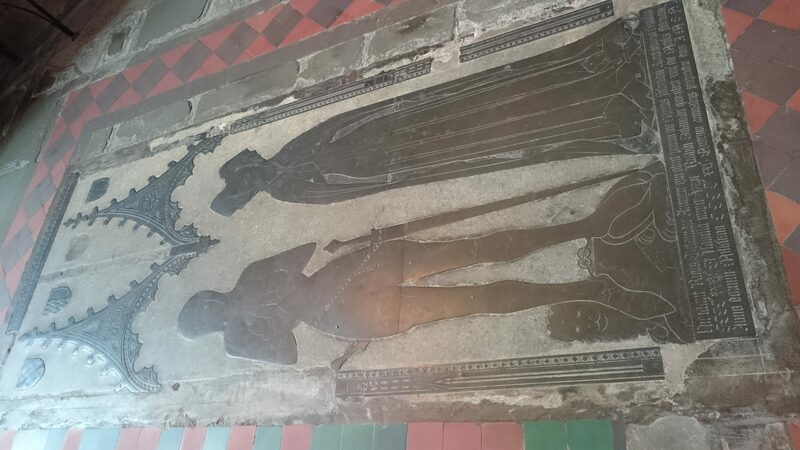 We had a similar problem with the wall paintings in the reconstructed church from Llandeilo Talybont in the Welsh National History Museum at St Fagan’s. We wanted them to look bright, but Paul Barnwell thought they needed weathering and even suggested bringing in a bucket of soot to damp them down a bit. One online contact who tweets as ‘Poor Frank Raw’ made the very perceptive point that ‘whether the colours are overcooked or a fair reflection of the original or right/wrong, they are now not what we are used to. Should we accept that for several 100 yrs we have become used to the more muted colours and/or bare stone and go that way?’ Given that we are not medieval pilgrims, with intestinal parasites, bad breath and everything, is our pursuit of ‘authenticity’ just a glorified dressing-up game? 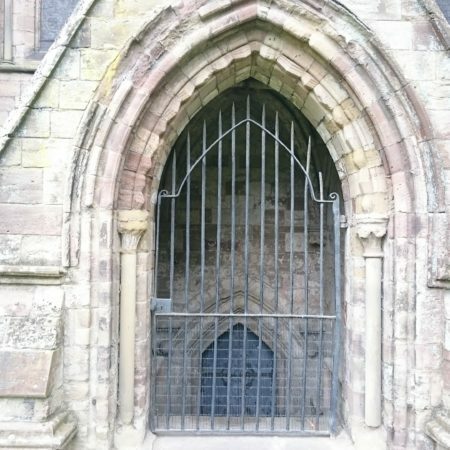 Another participant suggested that part of the problem was that the whole shrine – feretory and base – would once have been painted. Now, the base is bare stone so the colour of the feretory is more striking by contrast. Steps down to the crypt - was this the charnel house?